With just under three months to go, excitement is mounting as Fred. 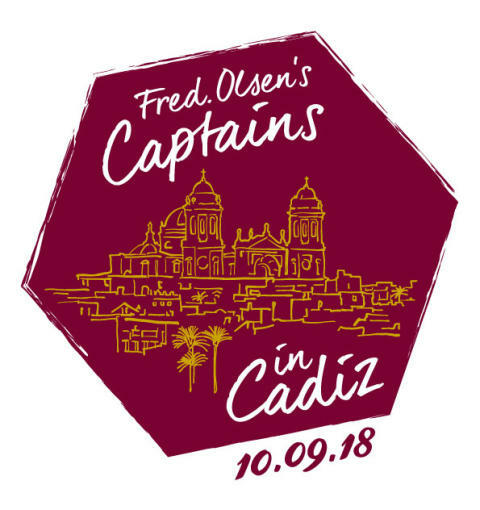 Olsen Cruise Lines puts the final preparations in place for its long-awaited 'Captains in Cádiz' fleet get-together, being hosted in one of Europe’s most historic cities, Cádiz in Spain, on Monday 10th September 2018. This is only the second time that all four of Fred. 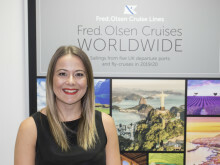 Olsen's ocean cruise ships – Balmoral, Braemar, Boudicca and Black Watch – will have come together at the same time, anywhere in the world! This year – which is the 170th anniversary of Fred. Olsen’s establishment as a shipping company – the event has been named ‘Captains in Cádiz’, as a number of the ships' Captains will be taking part throughout the day. Working closely with the Cádiz Port Authority and the various Cádiz and Andalusian tourism partners involved, such as the Town Hall and the Provincial Tourist Board, Fred. Olsen will be laying on 'all the fun of the fiesta' for guests, with lively festivities and activities taking place from 8am to 5pm on board the ships, along the quayside and throughout the city. "We are very grateful to the Port and the city of Cádiz for making us so welcome in this stunning region of Andalusia, and for their generous support of our special ‘Captains in Cádiz’ celebrations. "In July 2015, we brought our four ships together for the very first time in Bergen, Norway, and it was one of the most celebrated events in Fred. Olsen’s history! To mark our milestone 170th anniversary this year, we are now looking to build upon the tremendous success of this ‘Four Ships in Bergen’ event with ‘Captains in Cádiz’. “We will be treating the 4,000 guests across the Fred. Olsen fleet to an action-packed programme of festivities and events during the day – from a Treasure Hunt taking in the spectacular sights of the city, to live bands and Flamenco shows along the route, to the chance to try delicious local produce and cheer on the crew in a hotly-contested tug of war competition between the ships…there's plenty of fun for everyone!"